Dr. Crocker provides exceptional are to my pets! Door to door service by Dr. Mulvaney. Clear, concise, explanations of treatment plan, AND Dr. Mulvaney even did a post-op visit to our house the next day. These are advantages to being her mom… Best of all though, Boots is doing great and healing quickly! I was very impressed with our service at the clinic. Having just added little Cinder to our family (and not having had a puppy in the house in many years) I had a number of questions. All were answered thoroughly and with no rush. 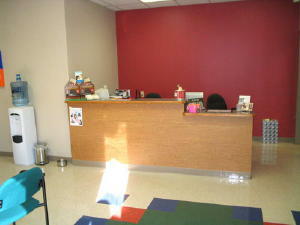 I feel confident in starting our vet care with your office and won’t hesitate to call when I have a concern. Thank you! Everyone was kind, helpful and understanding. Coco is a nervous dog and everyone did their best put all of us at ease.